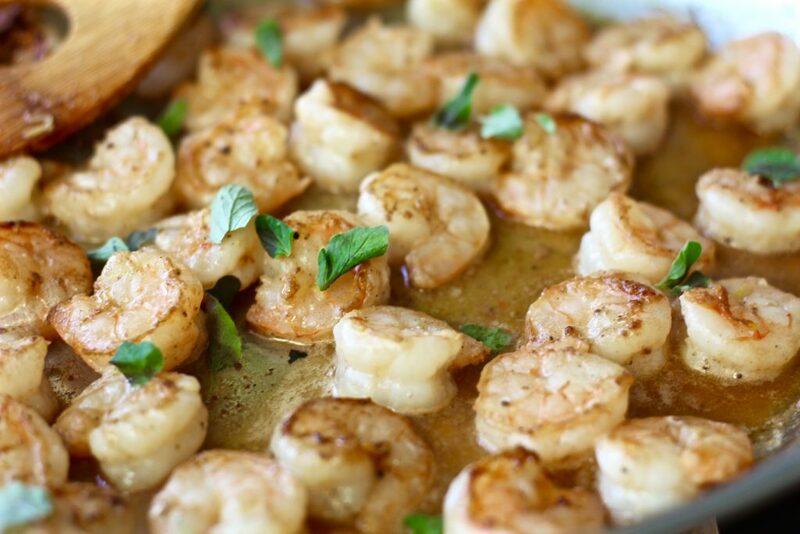 This lemon butter garlic shrimp is one of my all-time favorite seafood dishes. 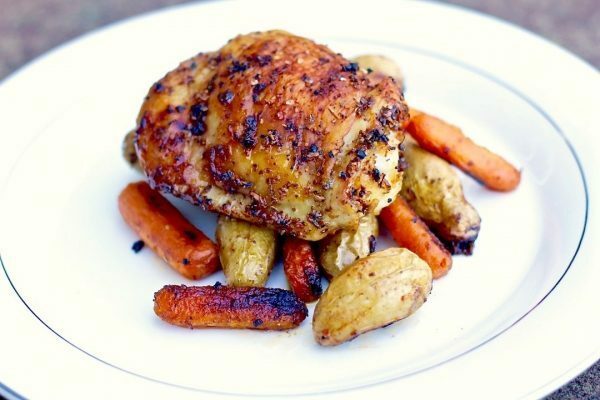 The fact that it only takes about ten minutes to prepare makes it the perfect dish to make for a busy weeknight dinner. 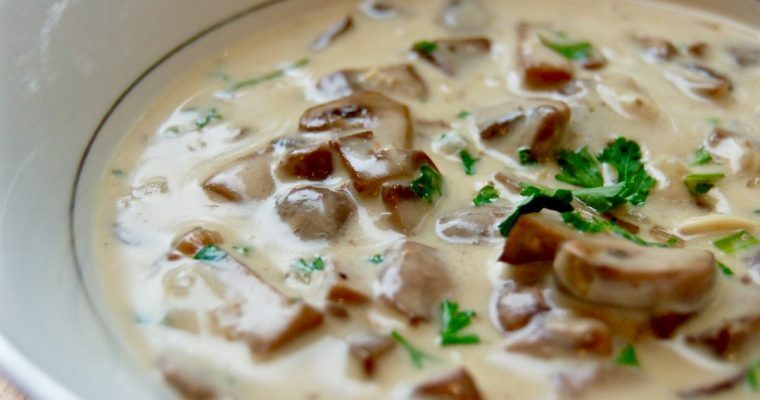 It’s also a great quick protein addition to my favorite saucy mushroom risotto. 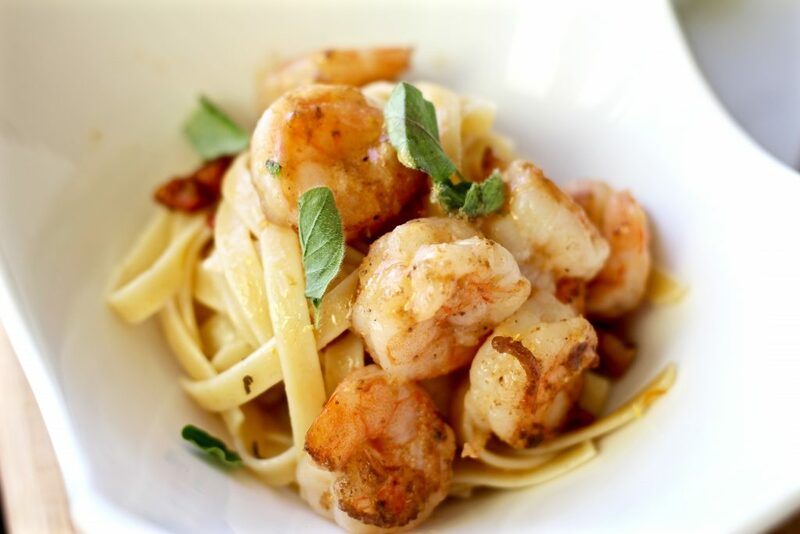 Make sure to start with the right ingredients– using raw shrimp ensures that you get a tender and juicy end result. 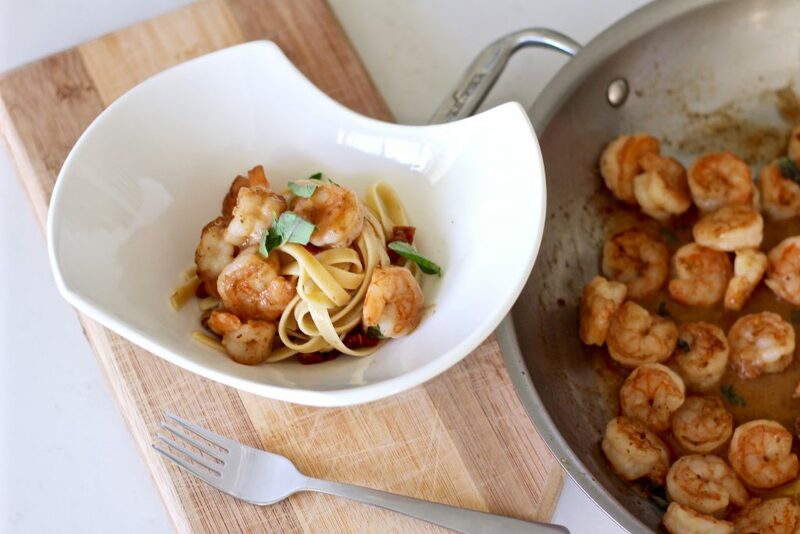 (Pre-cooked shrimp doesn’t absorb the flavors as well and turns out tough and overcooked.) Cooking in butter develops a nutty and rich flavor in this dish. 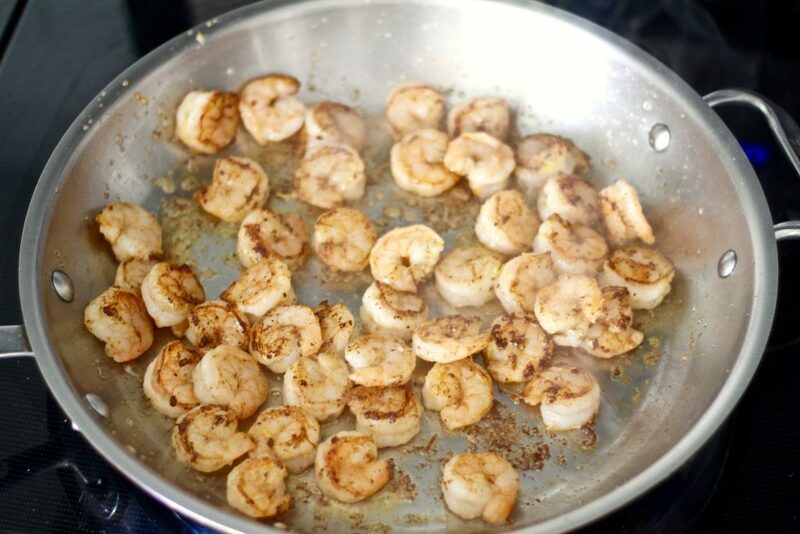 The garlic seasoning blends perfectly with the butter as you quickly sear the shrimp. 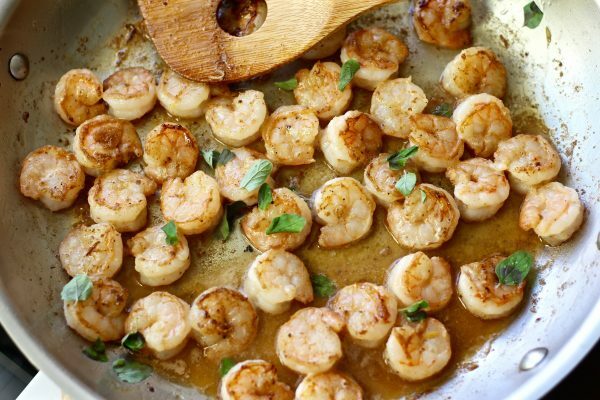 Finish off the lemon butter garlic shrimp by adding fresh squeezed lemon juice to bring all the flavors together with a crisp acidity. 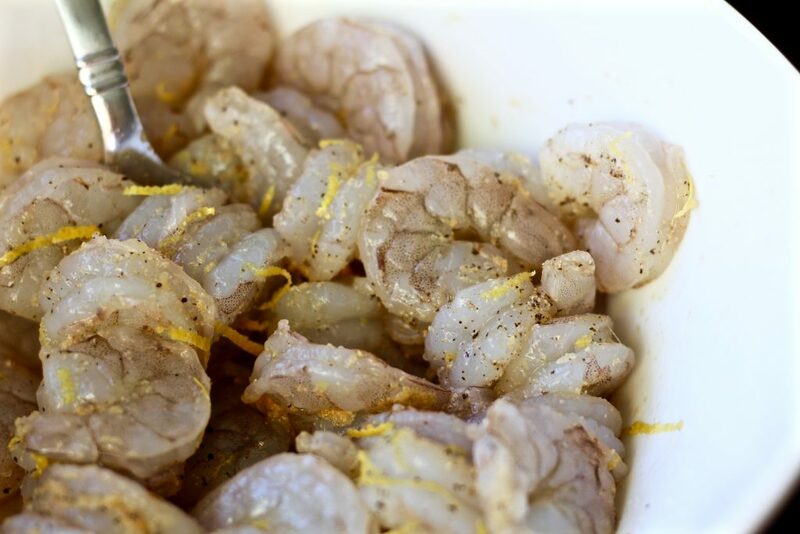 Peel the raw shrimp and pat dry with a paper towel. This is the part that probably takes up the most amount of time, but as you get more practice, it’ll go much faster! 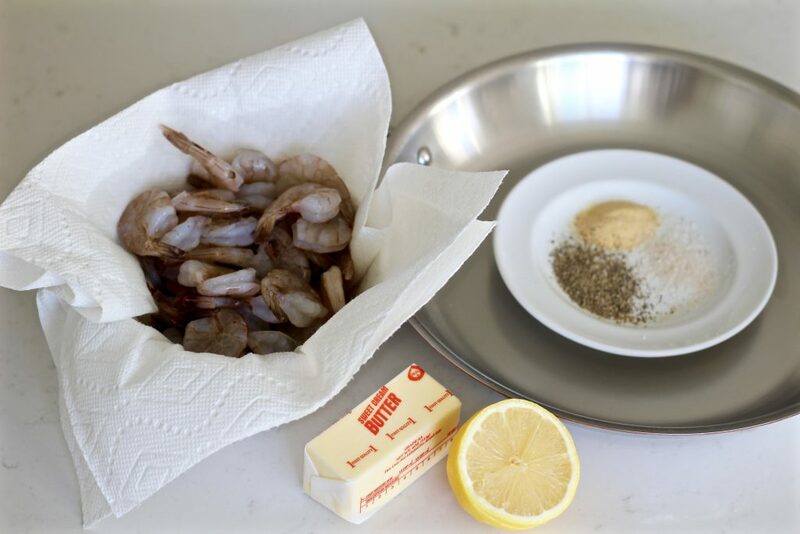 Toss shrimp in garlic powder, salt, pepper, and lemon zest to coat evenly. 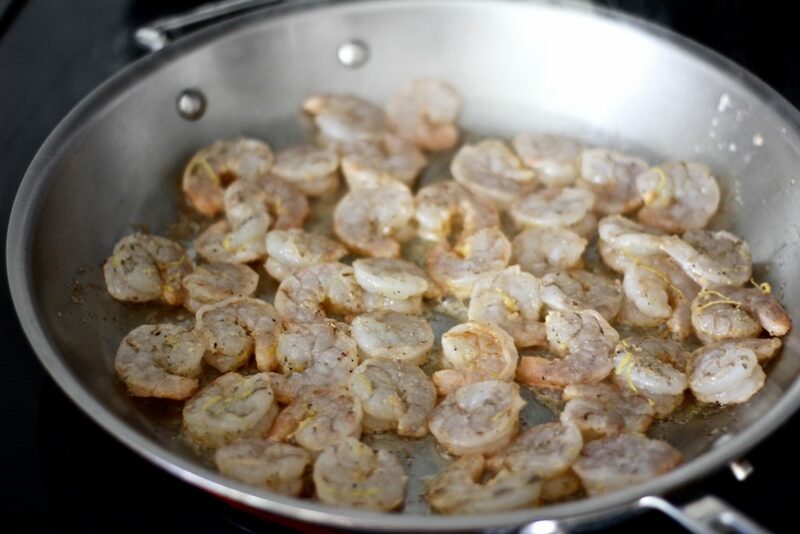 Add seasoned shrimp to pan and spread out evenly. Cook for about two minutes then turn and cook for an additional two minutes. 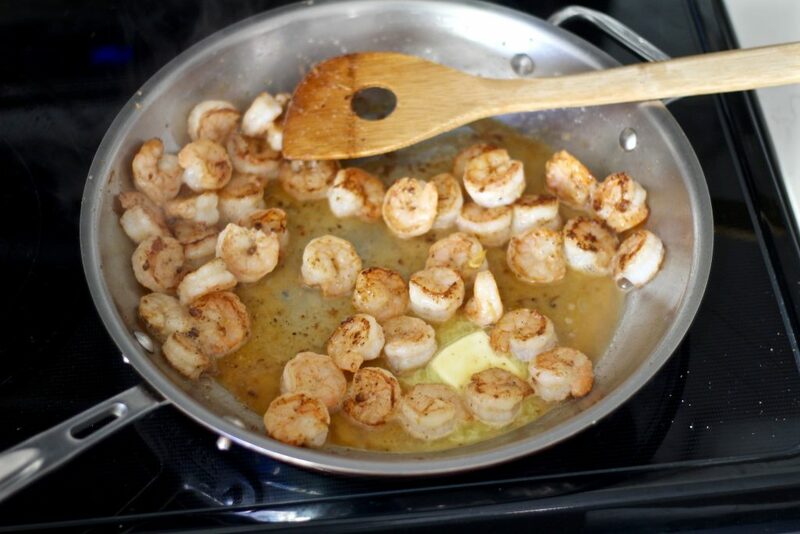 Shrimp is done when opaque, any liquid has evaporated, and starting to brown. 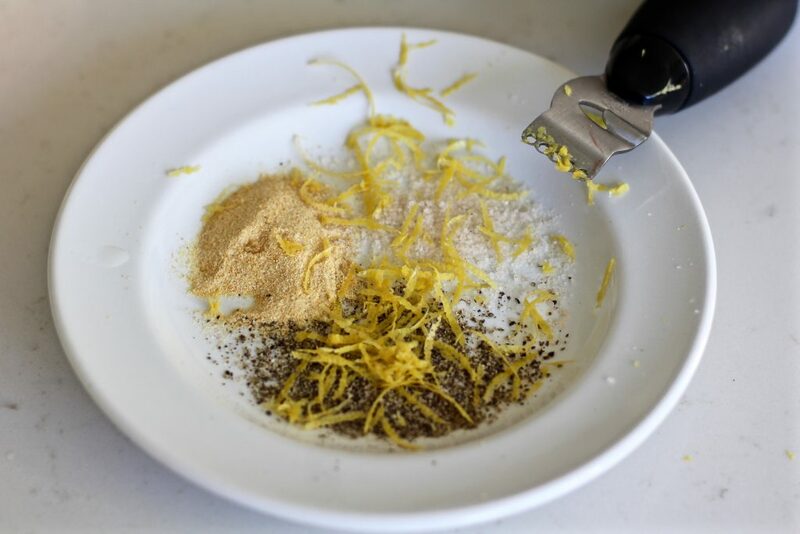 Remove from heat and finish by adding the lemon juice and remaining tablespoon of butter. Optional: top with fresh herbs of choice. I love to use parsley with this dish, but this time I used oregano because it’s what I had on hand. Serve immediately over mushroom risotto, pasta, or side dish of choice. 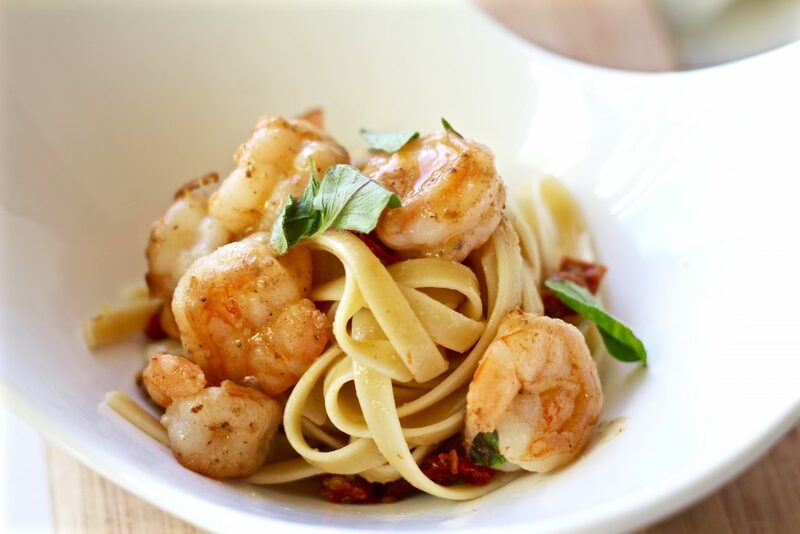 You can toss cooked pasta right into the pan and mix it all to absorb some of the lemon butter sauce– it’s delicious! 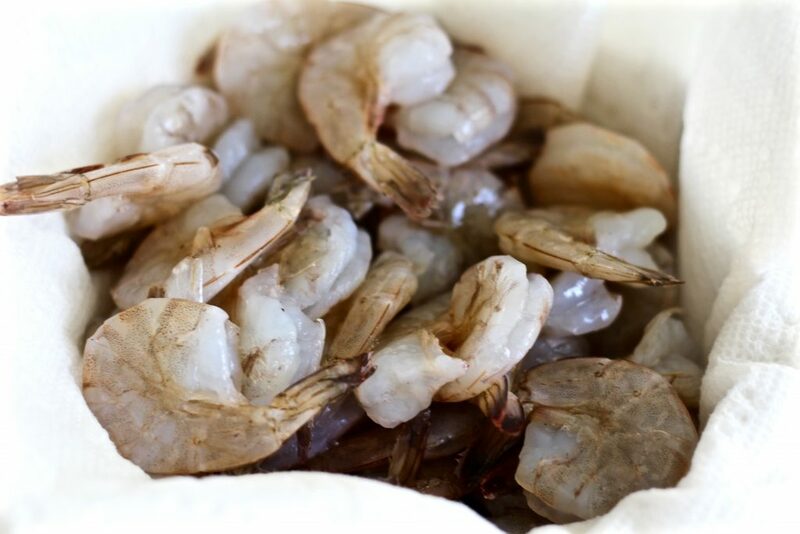 Peel the raw shrimp and pat dry with a paper towel. Preheat a large pan to medium high heat and add 2 tablespoons of butter (reserving 1 tablespoon for the end) and 1 tablespoon of olive oil. Serve immediately over mushroom risotto, pasta, or side of choice. 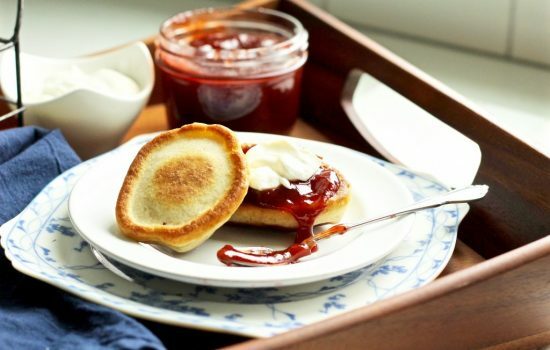 Hello, this recipe looks yummy and simple (my two favorite adjectives :)). Do you devein the shrimp? It looks like it, but it isn’t mentioned, so I wanted to inquire. Thanks Leslie! It is super easy! And yes, the shrimp I buy are already deveined and just need to be peeled. Gonna try and surprise my mom, she loves shrimp and this recipe doesn’t have any nutmeg and any components of anything remotely related to nutmeg, she’s EXTREMELY allergic to nutmeg and sage, a lot of recipes tells you to include those spices. She is going to be so surprised and is actually going enjoy this recipe. I hope it turned out well and your mom loved it!